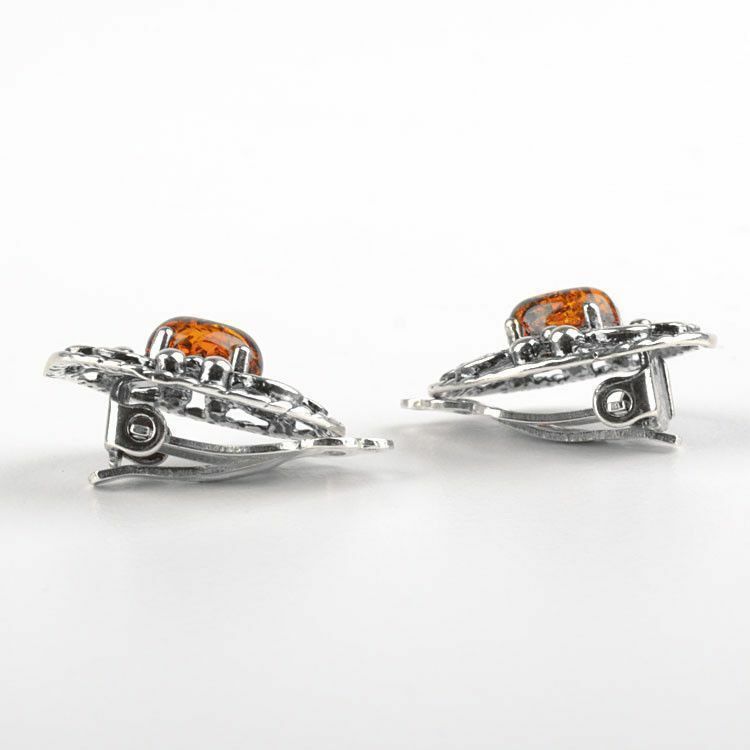 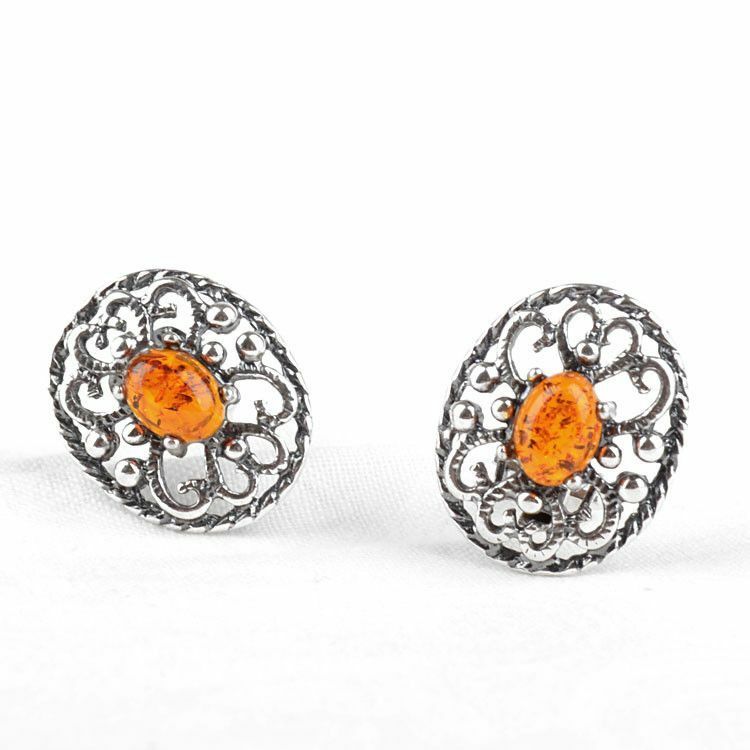 These lovely little clip-on earrings each feature an outstanding, genuine Baltic honey amber stone, oval shaped, Approximately 1/4" long, set in a four-prong setting, surrounded with a dainty, swirly design. 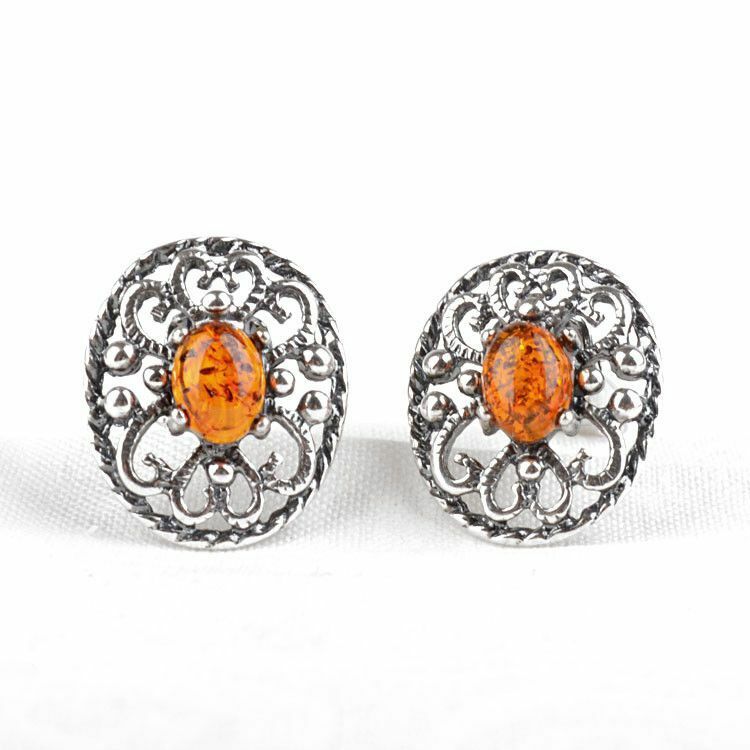 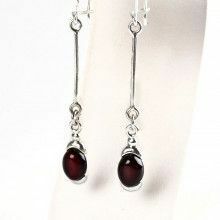 The lightweight earrings measure a total of 3/4" long. 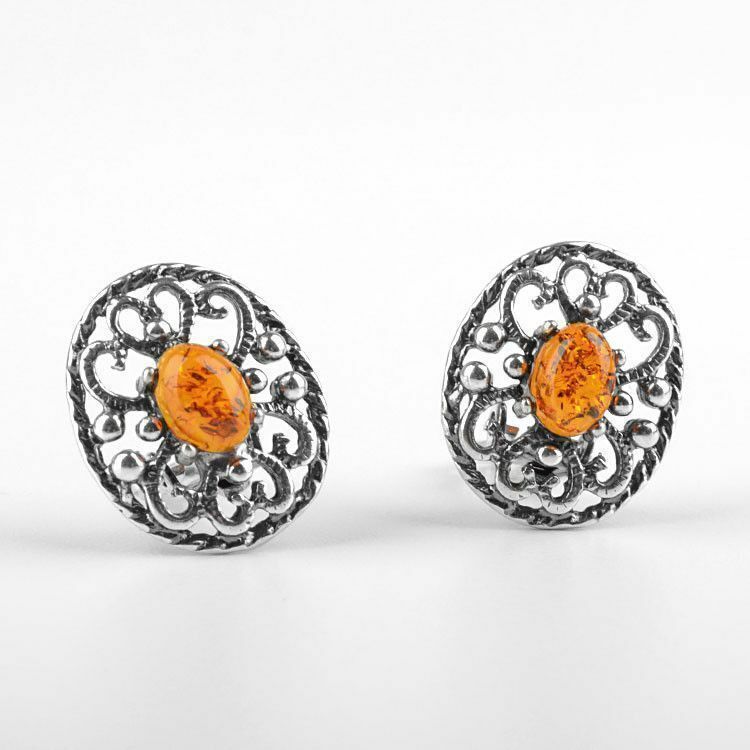 A wonderful addition to any jewelry box! 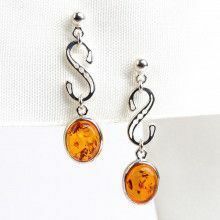 Earrings measure about 5/8" x 3/4"
Amber stone is about 1/4" x 3/16"